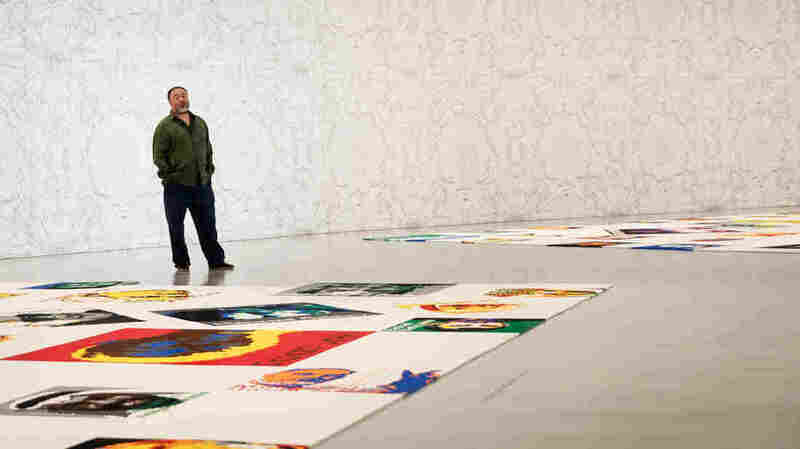 'They Love Freedom': Ai Weiwei On His Lego Portraits Of Fellow Activists The Chinese artist created Trace while under house arrest, and he wasn't allowed to travel to their San Francisco debut. Now, he has his passport back, and was finally able to see it on display. Ai created his Lego portraits while under house arrest, so getting the materials he needed was tricky. A friend ended up making multiple trips from the U.S. with suitcases full of Legos. Chinese artist Ai Weiwei has had several confrontations with Chinese authorities. (He was once beaten so badly by police that he had to have brain surgery.) Through it all, Ai continued to make art, and his art continued to travel the world, sometimes without him. That's what happened with Trace, a series of Lego portraits Ai created while under house arrest. The artworks, which depict activists and political prisoners from around the world, were first shown at the former prison on San Francisco's Alcatraz Island in 2014, and nearly a million people saw them there. But at the time, Ai was still under house arrest and couldn't travel to the exhibition.